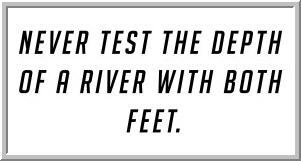 Growing as a trader means getting deeper in the river, one foot at a time. Deeper means building new strategies and finding new sources of edge in markets. Deeper means expanding risk taking with existing, proven sources of profitability. As a trader, you want to grow, and you want to do it the right way. Kudos to Mike at SMB, who wrote this post on a trader who was tested in trading a fast moving opportunity and who passed the test. What was key was that this trader did not go on tilt when losing money and did not lose focus. Recognizing this, his risk manager gave him a green light and a day that started as quite a loser became quite a winner. He took a big step in the river, but never got over his head. Growth as a trader typically comes in two phases. The first is achieving a high degree of consistency. The developing trader develops rules and processes and becomes increasingly consistent in decision making. While achieving this consistency, the smart trader trades small so that all the mistakes made out of inconsistency won't cost too much capital. In the second phase, the trader has to monetize his or her consistent trading by expanding risk taking. This must be done in a way where the risk taking finds increasing depth, but where the risk taking is never jumping in with both feet. Often the problem is that, during the phase of consistency, the trader has acclimated to small risk taking. Having traded small for many months, the trader internalizes the sense of being a small trader. No one has achieved great things with small vision. It's a tricky combination: revising one's trading self-concept--learning to think big after having managed small risk--while still retaining the rules, processes, and consistency. Perhaps the greatest impact of a trader passing the test is the impact that success has on the other traders on the floor. "If they can do it, why can't I?" is the natural response. That's the best encouragement of all to get a little deeper in the river. A recent post from the excellent Mathematical Investor blog questions whether the use of chart patterns and technical analysis truly offers value in financial markets. The authors point out how easy it is to manipulate information to look significant (commonly encountered when an "analog" to the current time period is found in a previous historical period). Indeed, it's possible to find historical analogs to any market behavior simply because the search space over the course of financial history is so large. This is classic overfitting: the similarities of today and the past are likely to be chance artifacts. As one astute market participant noted to me, one has to be suspicious that other disciplines do not make use of chart patterns and indicators of historical time series. If, for example, a weather forecaster were to note that today's warm temperature is a breakout from the recent range of temperatures and therefore we should see temperatures trending higher through the week, this would not be a credible forecast. Nor would we take seriously a weather forecast that looked for configurations of cloud patterns. Although the validity of technical patterns is often questionable (How often do we see valid backtests of assertions made on technical grounds? ), it is their poor reliability that I find particularly problematic. It is not unusual to find two technicians look at the same chart and arrive at radically different conclusions based upon the lookback period considered and the definition of the pattern. One might see one wave count in a given market; another will arrive at a different count. Both will entertain "alternate counts" that lead to radically different conclusions. Can you imagine radiologists arriving at wildly different interpretations of imaging scans? The lack of reliability would make it difficult to develop any kind of valid surgical intervention. All that being said, I do see empirical work out there that links past returns to future ones. Very often, these studies find value and momentum effects (circumstances in which past returns lead to reversals or continuation) that are tested for economic as well as statistical significance. I have also seen traders firmly define patterns that "set up" in intraday markets and test them out for skews in forward returns, creating successful "playbooks" that guide their trading. This study of market intraday momentum recently came to my attention as an example of more rigorous implementation of price patterns as potential predictors. I also observed a daytrader this past week rigorously test a pattern of behavior in the VWAP of stocks that led to short-term momentum. Does technical analysis have merit? I would argue yes, but more as a source of hypotheses than as a source of conclusions. We can frame market behavior in terms of patterns, but it is important that these patterns be defined objectively and tested properly before they merit the investment of hard-earned dollars. 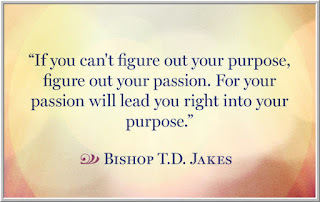 You are working hard, but are you working on the right things? You are climbing the ladder, but is it leaning against the right wall? You are busy, but are you productive? Are your daily efforts energizing you or draining you? 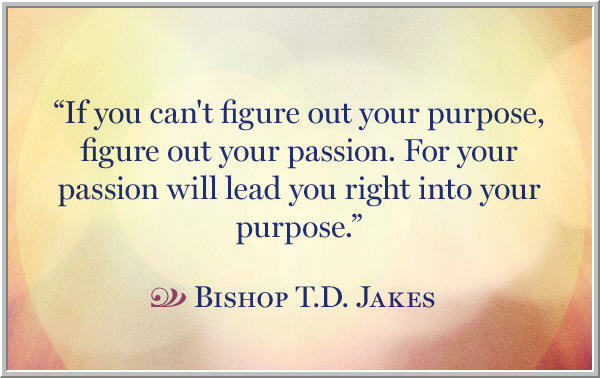 Is most of your time spent coping with challenges or implementing a life vision? You are leading your life, but are you truly leading your life? Too many people I meet with are working hard and doing the best they can do to cope with daily challenges. They are striving but not thriving. 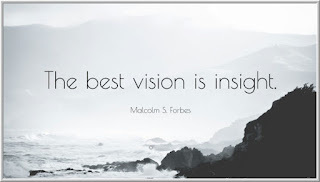 This latest post addresses how we can bring visionary leadership to the leading of our lives. It might be the most important thing I've written. 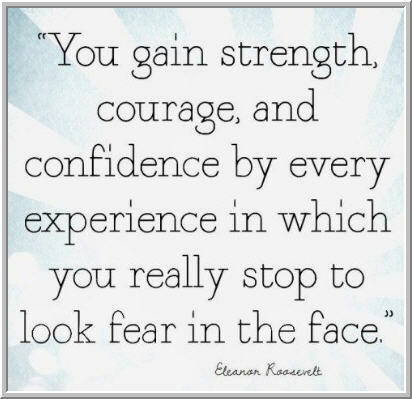 It's really true: confidence doesn't come from success alone, but rather from facing failure and moving beyond it. When you've been tested and tested and tested again, you begin to recognize that the tests are what make you stronger. They provide the opportunity of learning, not merely the threat of loss. 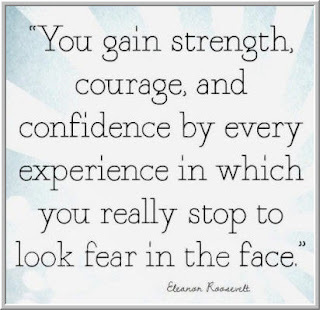 But many traders fail to look fear in the face. They chronically undersize positions in an effort to prevent major losses. When their ideas work out, however, their undersizing also prevents major gains. Over time, those traders are nagged by the sense that they have skill, learning, and an edge in markets, but are not taking proper advantage of their strengths. So they come to me and ask for help in risk-taking. They want to size up positions, but can't bring themselves to do it. It's too scary to look fear in the face, so they settle on quick glances. Why is this? Why are some very talented traders unable to take optimal advantage of their talents? I recently met with a group of traders and reviewed their journals. Most of the journal entries were very detailed, suggesting hard work and desire to improve. The entries went through the trades they put on, how those trades went, and what they could have done better to manage the positions. Sometimes the journal entries also spoke of missed opportunities and positions sized too large or taken in the absence of a clear signal. My first reaction was that these journals are a waste of time. They outline problems, but don't contain any detailed plans for correcting those problems. But I was wrong. The journals were worse than a waste of time. They were killing the traders. Look at it this way: Suppose I kept a detailed journal of your life and wrote down everything you did wrong, as well as the things you could have done better. Better yet, imagine approaching a young son or daughter in this manner. What would be the result? If you keep harping on what you do wrong, why would you internalize a sense of opportunity and achievement? If all you focus on is what you could have done better, eventually you'll believe that all you can do is fall short. A good sports coach or military leader knows when to praise and when to criticize: when to build up and when to tear down. Without the building up, all we do is tear down. So what happens? We make money but internalize the sense of "could have done better". What we don't internalize is confidence. We're never on the front foot when taking risk because we've programmed ourselves to expect shortcoming. Take a look at your trading reviews and journals. Do they inspire? Do they focus on specific learning and achievement, or are they simply ventings of frustration and things that didn't go as well as possible? Many, many traders are not working on their trading at all. They are working on tearing themselves down. One of our great vulnerabilities is that our intentions tend to be mood dependent. When we've just lost money and are in a remorseful state of mind, we vow to correct our errors and stick to our best practices. Then, the remorse gives way to curiosity and excitement and we forget our resolution. We allow our new moods to create different intentions--and different action patterns. True discipline means acting in a consistent manner regardless of mind state. 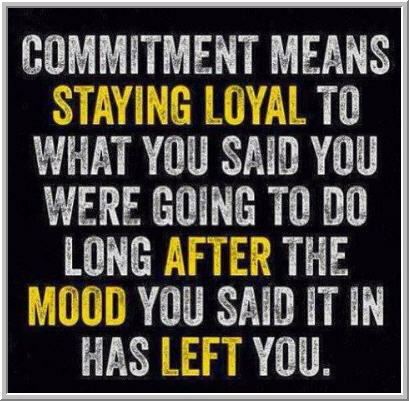 That requires commitment. If we are truly committed to losing weight and getting in shape, we get to the gym no matter what time of day it is or what the weather is like. When we are committed to self-improvement, we don't rest on our laurels when things are going well. As Mike Bellafiore recently pointed out, we use positive performance the same way we use negative performance: as a source of learning and development. 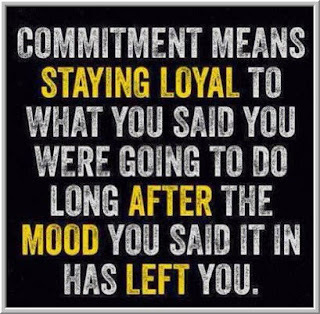 Commitment is something we do, not something we have. The religious person starts each day in prayer; the basketball team meets each day for practice and conditioning; the world-class trader searches for opportunities and re-searches sources of new opportunities. These are routines sustained by a sense of urgency and importance. They are not mood-dependent because the sense of urgency transcends the moods of the moment. I might not feel like going to the gym and eating a healthy meal, but if I know the health of my heart depends on those actions after I've just had a heart attack, my feeling state of the moment becomes irrelevant. Traders focus on setting goals to further their development, but goals by themselves lack power unless they are backed by urgency and are fueled by commitment. If I deeply love my wife and am filled with gratitude for the many things she has brought to my life, I can be in a funk and yet still want to do things for her and with her. If I urgently desire to win the next game, I'll shrug off my tiredness and push myself and my teammates in practice to take us to the next level. Show me your daily routine, and I'll show you your commitments. If it's in your heart, it will be in your calendar; if it's in your calendar, it will become an intrinsic part of you. Our activities express our character and shape it. 1) What you trade is as important as how you trade: The successful traders are trading instruments that move in meaningful ways and that capture their best ideas. That means trading instruments that show the right kind of movement, and it means expressing your ideas through positions that offer the best risk/reward. 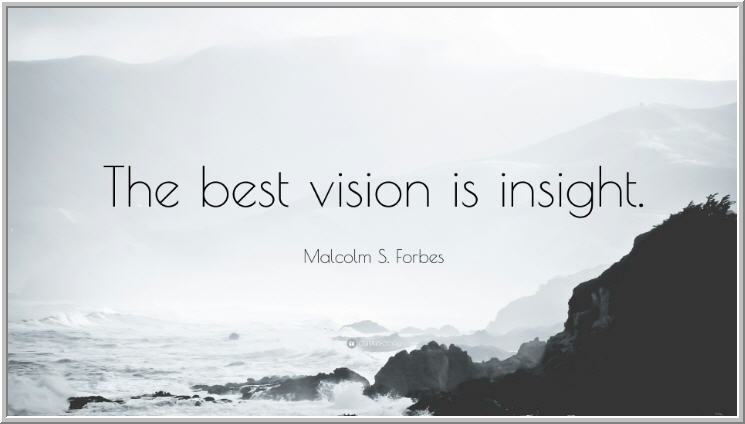 The successful traders have many ways to capture ideas: many time frames, many instruments (stocks, futures, options), many markets. 2) Balance matters: When trading gets difficult, it's often the traders most passionate about trading--who devote most of their waking hours to trading--that are most vulnerable. It's easiest to see markets clearly when trading fits into your life, not when you are frantically fitting your life into trading. The goal is to have a happy, fulfilling life no matter what markets or P/L are doing. 3) The best trading ideas come to you: So much of trading boils down to real time pattern recognition. You see many things, and you see them line up, and the idea comes to you that the market is making a top or bottom, that the momentum move will continue, etc. Finding the good trade means shutting down the ego, emptying the mind, and becoming receptive to insight. If you are actively *trying* to make money and thinking about how much you're making or losing, you fill your mind with outcome-thinking, which crowds out the process focus. 4) Develop a higher cause: I hear traders fretting over losing trades, getting frustrated and losing discipline and focus because of missed opportunities. Chill. There are people with real problems in the world: their homes flooding, their lives in jeopardy, their futures uncertain--in Houston, in Florida. I've been impressed with traders who are strongly grounded in their religion. Of course they don't like making trading mistakes, but they don't let the most recent trades dictate their moods or perspectives. Perspective is the most powerful psychological tool of all. When we develop relationships with other dedicated, successful traders, we build role models. We learn from their experience, accelerate our development, and contribute meaningfully to the growth of others. Trading goes best when it is yoked to rewards (intellectual fulfillment and challenge; committed teamwork) that are independent of the most recent trading results. 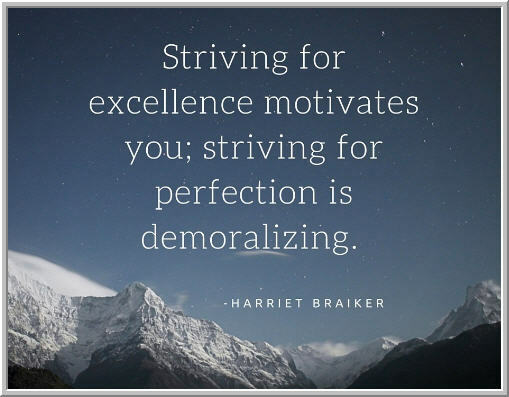 A reader recently asked the question of how to overcome perfectionism in trading. Like many traders, the reader recognized that the quest for perfection was actually demoralizing him and leading him to trade worse and worse. Trying to buy the bottom tick and sell the top, he was missing trades. Losing money, he became his own worse critic. Even when he made money, he found himself focusing on how he could have made even more by holding a little longer, sizing a little larger, etc. Slowly, perfectionism was stressing him out and interfering with his trading. Sound familiar? It's a fine line between being success-driven and achievement oriented and being perfectionistic. We want to keep pushing forward, but at some point the push becomes part of a problem, not a solution. 2) It is a way of channeling anger and frustration. The perfectionist is channeling anger inwardly, looking at the gap between the real (actual performance) and ideal (possible performance) and becoming frustrated at that gap. That is why so much perfectionistic thinking is of the "should" variety: you *should* have held the trade longer; you *should* have been sized larger; you *should have taken the trade; you *shouldn't* have taken the trade. It's all frustrated self-talk. As I discuss in my books, we generally possess enough social sensitivity that we would *never* consider talking to a friend or colleague in the tone we use with perfectionistic self-talk. We would never get in some one else's face and tell them all the things they *should* and *could* have done better. We would recognize right away that there is no constructive value in such talk. It doesn't help anyone move forward. That is the key point to recognize: there is nothing constructive about perfectionism. It's self-abusive; it doesn't move us forward. It's a dumping of anger, not an effort to learn from mistakes. Once the trader recognizes that the problem is not their trading, but their way of thinking about their trading, then they can begin the work of recognizing the frustration in real time, interrupting the perfectionistic thoughts, and introduce self-talk that is more similar to talk one would do with valued friends and colleagues. In practice, the sequence looks like: "OK, I just lost money and I'm feeling frustrated. I can feel myself getting caught up in *should* thinking. That is the same perfectionism that has stressed me out and hurt my decisions. I might have made a mistake, but I don't deserve having anger dumped on me. Before I take my next trade, I'm going to review what might have gone wrong with the last trade and see if I can learn anything from it that will help the next trade. I refuse to keep talking to myself in a harmful way!" Many times, keeping a cognitive journal is a great way of structuring this process and developing new, constructive habit patterns. The Daily Trading Coach book describes this journaling in detail; see also the reading below. Once we become aware of the *consequences* of negative thought patterns, we can truly *regret* them, and build a determination to not repeat them. It is very healthy to focus on self-improvement: we move ourselves forward when we try to become better. We shut ourselves down when we demand more. Further Reading: What Format of Trading Journal is Right for Me?